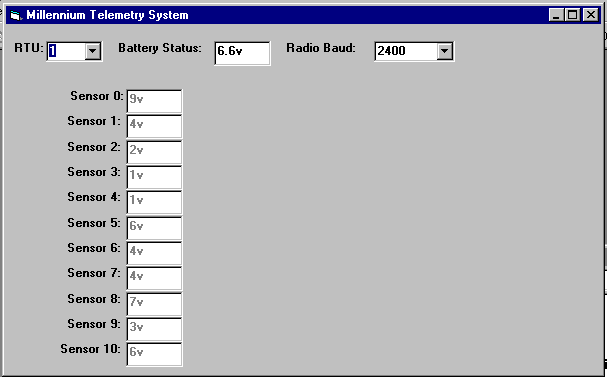 Around 2000, I had the dubious honor of enhancing–under contract–a VB6 application that interfaced to MODBUS radio telemetry units. Instead of using a ListBox or some other appropriate control, it employed a control array of TextBox controls to visualize raw sensor voltages from remote units. The kicker to all this was that the code was all attached directly to a timer control that would go out and poll the units (this subroutine was about 20 pages long, mixing up MODBUS parsing, UI updates, radio communication, and virtually every part of the application munged together). When this code needed to do something with the received data, it read it back from the dynamic text boxes it had created during its poll cycle. Dynamic textboxes are bad, mmmkay? I refactored the code into a much better system and UI without dynamic textboxes. The new UI showed a tree view of all remote units and allowed reporting on each one, as well as fancy charts and graphs. Each sensor on each remote unit could have a custom math formula to turn its raw voltages into human-readable data. My version also logged data to a SQL Server database for archival and later analysis. I was supposed to be hired by the company that originally made the software in order to turn it into a full-fledged SCADA (systems control and data acquisition) suite, but various situations with them and the organization to which I was contracted precluded that job move. I have long since moved into the Linux and medical systems world, most recently doing Node.js development and EHR support. But this, my first programming job, has always stuck with me as a real “baptism by fire” moment, with which many fun memories are associated. I still have a fond place in my heart for VB6–with all its warts–but the process of creating from memory the little UI mock-up for the image I used on this post (which was done in VB6 in a Windows NT 4.0 virtual machine on my Linux box) makes me realize how far we’ve come and why we should never hope to go back.